The Powersports Expo, produced by the Motorcycle Industry Council will serve as the anchor for ‘Industry Week in Las Vegas’! The week includes proposed OEM dealer meetings, the 6th annual AIMExpo presented by Nationwide, Feld Entertainment’s Monster Energy Cup, the 18th annual Las Vegas BikeFest and other activities attracting dealers and consumers to the bright lights of Fabulous Las Vegas while putting a spotlight on the motorcycle and greater powersports industry. 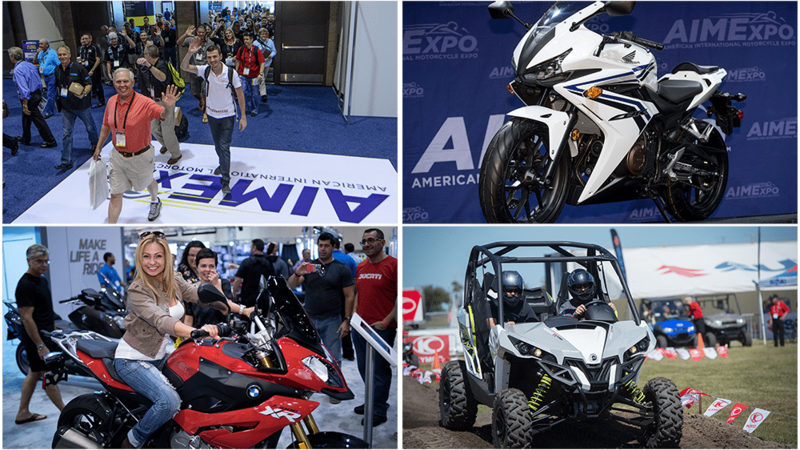 For 2018, AIMExpo presented by Nationwide will take place inside the beautiful Mandalay Bay Convention Center – October 11-14 – where manufacturers, aftermarket brands, dealers, consumers and media will gather under one roof, at one time. Place your bets now and we’ll see you in Vegas!